DR. PHIL'S VINTAGE AMERICAN STAMPS AND POSTAL HISTORY. GREAT LOW PRICES !! More Items from DR. PHIL'S VINTAGE AMERICAN STAMPS AND POSTAL HISTORY. GREAT LOW PRICES !! Scott # 733 Mint Never Hinged Single GEM Amazing ! 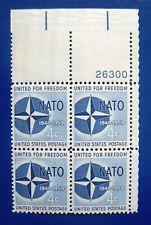 Scott # 1127 Nato Plate Block Mint Never Hinged GEM !! 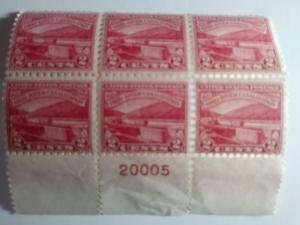 Scott # 681 Plate Block # 20005 of 6 Monongahela River !! Scott # C47 AIR Mail Plate Block Mint Never Hinged Gems ! !